Here is a lovely friendship quotation for your dear cousin to express your friendship with her. The picture portrays a lovely image of two happy cousins having a happy time and making happy moments. Friendship could be experienced between anyone who cares and shares. When your dear cousin have become your bestfriend, its going to be double joy. 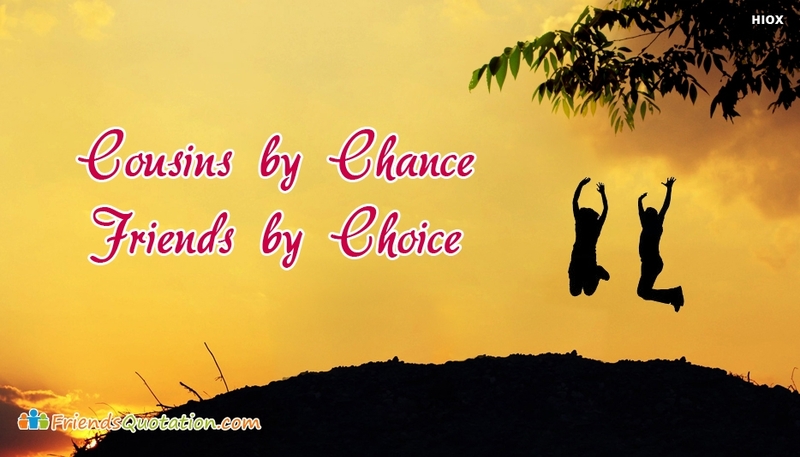 Share this joy of friendship between your dear cousin with this "Cousins By Chance, Friends By Choice".